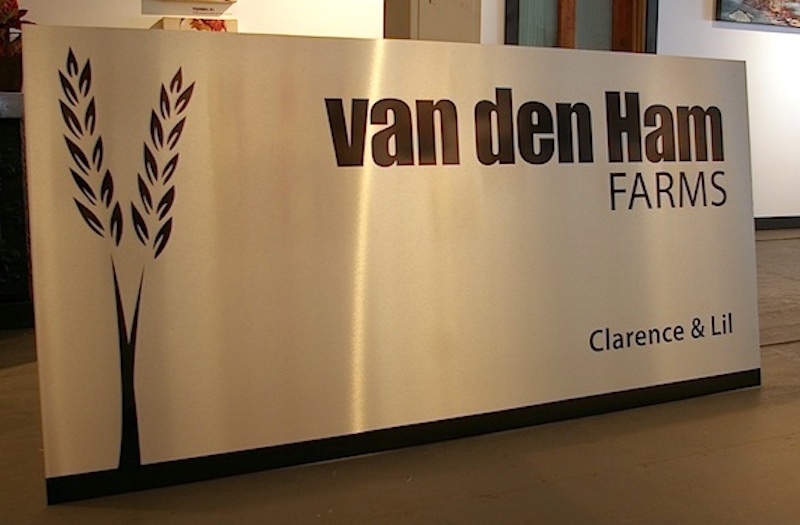 This sign is for van den Ham Farms in Brandon, MB. 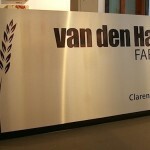 We opted for a durable aluminum sign material with a stainless steel finish. The design is a simple single colour vinyl and has flexibility to be mounted in various ways.